Unfortunately, there is no one universally applicable tenancy agreement form that works for every landlord and every property. Individualized tenancy agreements that reflect the landlord’s preferences as well as local tenancy laws are the best way for a landlord to manage a rental property. But a poorly-constructed lease will not do the job. 1. Failing to Prioritize. It is important for the lease to be drafted is such a way that the most important provisions — like the Notice to Tenant that the landlord will Report Rent Payments — are placed as close to the top of the agreement as practical and are set apart so the tenant is certain to see them. All provisions of the lease matter, but there are some that need to stand out. By lumping several provisions together in one paragraph or placing crucial language in the fine print, the landlord loses an opportunity to educate the tenant on what is expected day-to-day. In deciding on priority, consider where income loss is most likely to occur. It’s easy to focus attention solely on the payment of rent, but that’s a once-a-month obligation. The tenant must avoid damaging the property and respect other people’s quiet enjoyment every day. Formatting using caps, bold, or headings has no impact on the legality of the tenancy agreement, but those tools are effective in helping tenants understand what is required of them. Avoiding online leasing where the landlord and tenant don’t speak. Communicating in person several times during the leasing process helps cement the relationship and amplifies a sense of accountability. 3. Oops — That’s Illegal. Most tenancy agreements include a statement that any illegal provisions — like unauthorized security deposits, late fees, application fees, or attempting to offload landlord responsibilities — should simply be disregarded and the remainder of the lease enforced. Unfortunately, that doesn’t happen in real life. In the eyes of a tenant or adjudicator, the illegal provision taints the entire lease, and the credibility of the landlord. Every word of the tenancy agreement should be binding on the tenant, and tenants should not be in a position where they question whether the lease is valid. 4. Work in Progress. There’s a science to knowing just what goes into a Tenancy Agreement. Leases with check-the-box options are particularly problematic for this reason — it’s difficult to know what to include and what to omit. 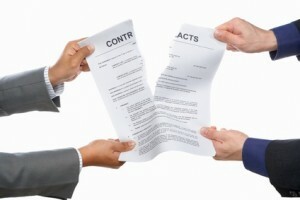 That’s why it’s important to work with a legal expert before finalizing the lease form. Fortunately, once the document is complete, it will work in most situations. Commonly omitted provisions include an explanation of joint and several liability, a guest policy that covers short-term sublets and allows a landlord to run a tenant background check on new occupants, a policy for routine property inspections, and smoking restrictions. 5. It’s Not Fair! The tenancy agreement should reflect a fair bargain. The tenant must see the value in what they’ve negotiated and not feel coerced into accepting one-sided terms. An unfair lease may not be legally enforceable so there’s nothing gained. What’s more, it can impact the landlord-tenant relationship. Earning a tenant’s cooperation and trust is the best strategy for on-time rent payments and a unit returned in good condition. The alternatives are simply too costly.